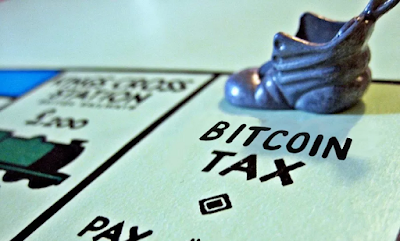 There is a growing concern by those who trade in cryptocurrencies as to whether or not they have to pay capital gains taxes on their profits earned. And this has even led to unconfirmed stories on the Reddit boards of someone being hit with a $50,000 tax bill from the IRS. 2017 saw the stock markets peak in December, and the current housing bubble begin to crack because of rising interest rates. And for those who watched the market's overall last year, they know that the most spectacular moves took place in cryptocurrencies. So with this in mind there is a very interesting report out on April 7 in which a fund manager calculated that 20% of the total amount of capital gains earned in all markets last year came from cryptocurrency trading. And because of this, it appears that the IRS wants its cut. With the advent of two court rulings on cryptocurrencies having deemed them as property, and subject to capital gains taxes similar to how gold and silver are taxed (collectibles), the IRS has in place guidance on virtual currencies. And as more exchanges fall under government regulatory authority, the only way one can evade paying taxes on their trades is to do so peer to peer, which at this time probably results in less than 1% of all crypto transactions.